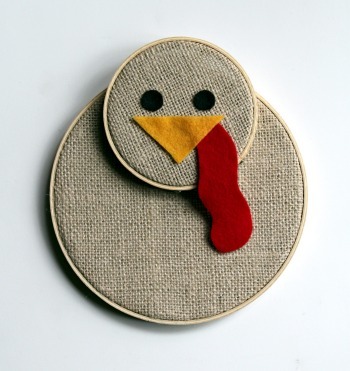 We admit the we kinda skipped over the whole Thanksgiving holiday in our mad rush to want to make Christmas DIY crafts. So, back tracking just a tad we are putting a turkey into the mix! 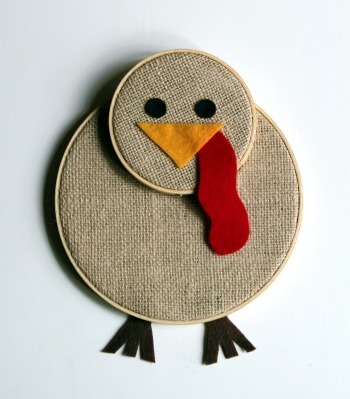 We love, love, love this tutorial that comes from Gwenny Penny's blog on how to make an Embroidery Hoop Turkey! Go to her blog to get the templates for the face and feet!! 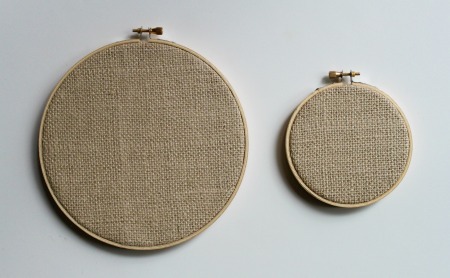 Step 2: Stretch your burlap inside of your embroidery hoops. 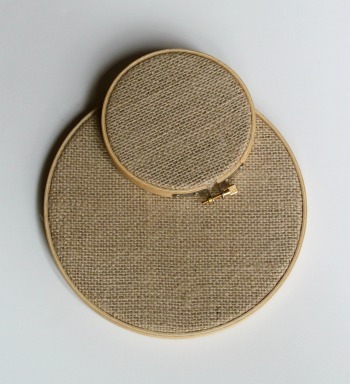 Trim the burlap to 3/4" from the edges of the back of the embroidery hoops. 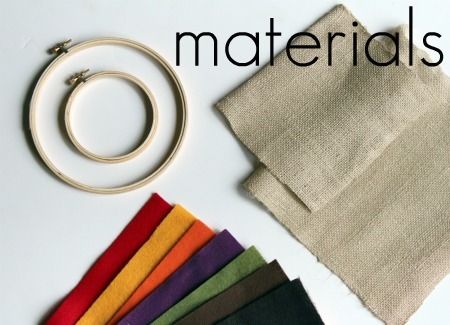 Use your glue gun to glue the edges of the burlap to the inside of the back of the hoops. 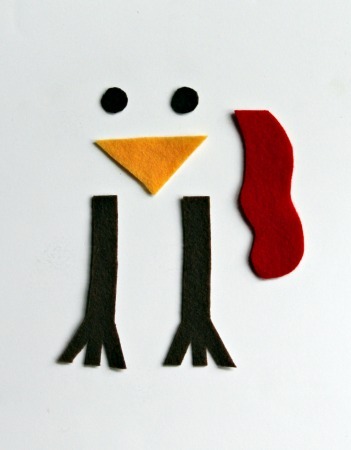 Step 4: Using the templates from Step 1, cut out the beak (yellow), snood (red), two eyes (black or dark brown), and two feet (brown) from your felt. 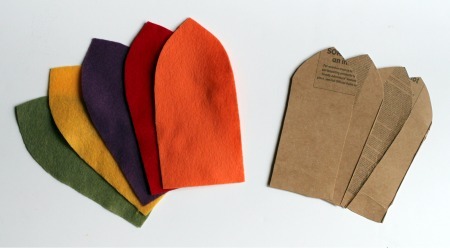 The red piece is called the "snood". Ignore the feet in this picture... I ended up cutting the legs shorter. 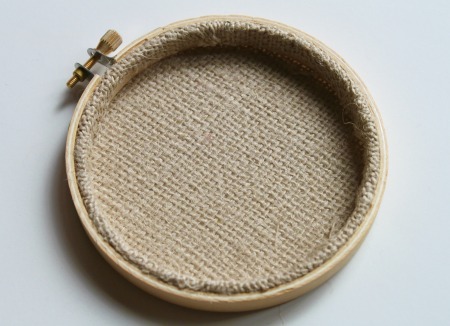 Use your glue gun to glue your felt face pieces to the small embroidery hoop, covering the screw on the smaller hoop with the red snood. 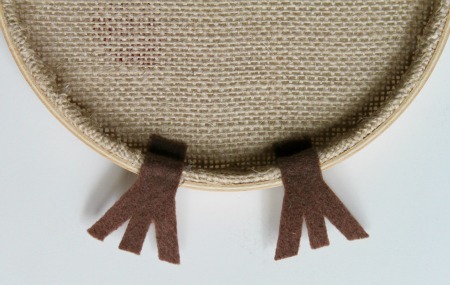 Flip your hoops over and glue the feet onto the back of the large embroidery hoop. 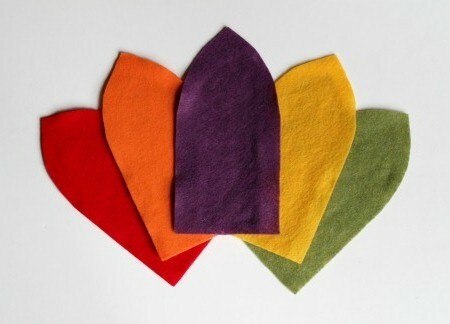 Step 5: Cut out your felt feathers using the large feather template from Step 1. You need five feathers. 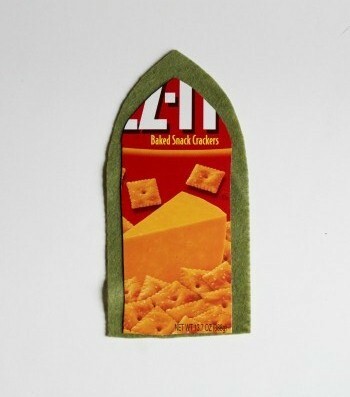 I used green, yellow, purple, red, and orange felt. Cut out 5 cardboard feathers using the smaller feather template. Use your glue gun to glue one cardboard feather to the back of each felt feather. 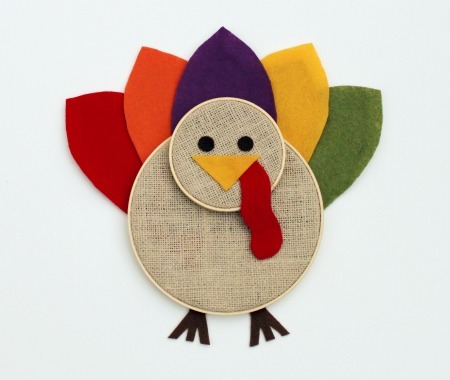 This will add stability to the feathers so that they won't flop over when your turkey is hanging up. Step 6: Fan out your feathers to your liking. Set your turkey body on top to make sure you like the look of it and that it fits. Remove the turkey body. Starting with the bottom layer of feathers, begin gluing the feathers to each other everywhere that they overlap until all five are firmly attached together. 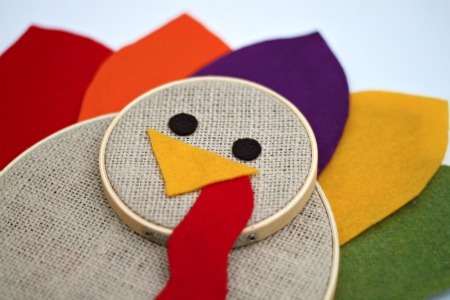 Glue the back of the large embroidery hoop of your turkey body to the feather assembly. You're done!